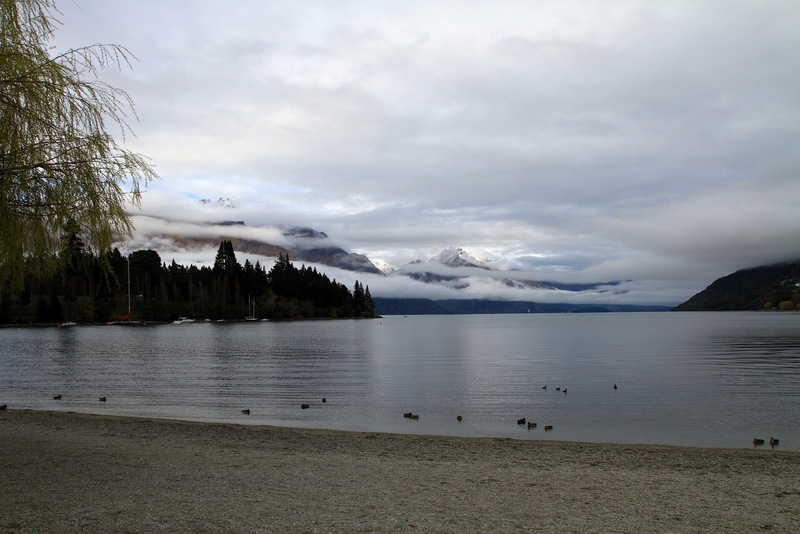 Last weekend Pete and I were in Queenstown where the average temperature was 9'C during the day. 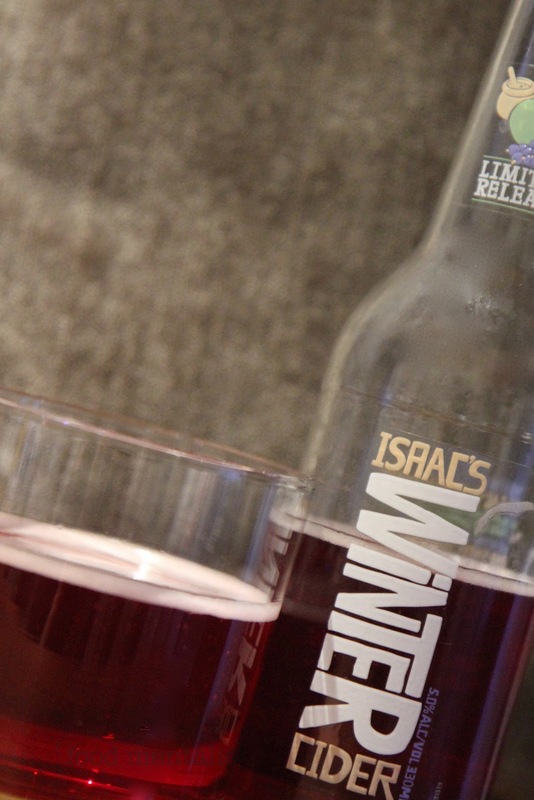 Just perfect for a winter cider. 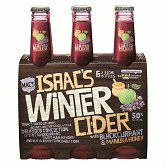 Mac's Isaac's Winter cider is a limited edition berry flavoured cider produced and marketed by Lion - a large beverage and food company whose portfolio also includes wine, spirits, dairy, soy beverages and cheese. The name of this range of ciders is a reference to Isaac Newton who, had his best ideas while sitting under apple trees. We purchased this at a bottle shop in Christchurch and the guy working there told us he enjoys it warmed slightly with a stick of cinnamon. Sounded very much like mulled wine at this point so I was intrigued. As it says on the bottle " after a hard day on the slopes gently heat and serve with a stick of cinnamon for a sublime winter warmer". Perfect for the likes of Queenstown, so I packed it in the car for our trip South. Whilst I didn't have the stick of cinnamon, I did have it slightly warmed and it was very similar to mulled wine (only carbonated) and was very easy to drink. Rather sweet, the tart blackcurrant flavours help balance this and a hint of manuka honey adds a little more depth. Overall, it's sweetness would probably prevent you from having too many. That said, it was absolutely delicious! RRP $16.99 NZD for a 4 pack (330ml) bottles. Have you ever visited Queenstown? What did you think?